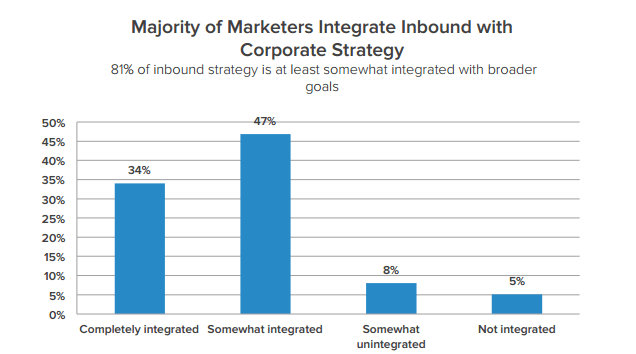 Further analysis into the types of companies most likely to employ blogs, social media and email marketing revealed that some of the world’s sharpest groups of professionals, marketing agencies, were the most likely to employ inbound tactics, at 73%. Given the fact that 91% of B2B marketers are currently using custom content for marketing, and the majority of organizations will be increasing spend on content in the next year, it’s clear that content creation isn’t just a fleeting, current marketing trend. It’s critical to remain competitive. 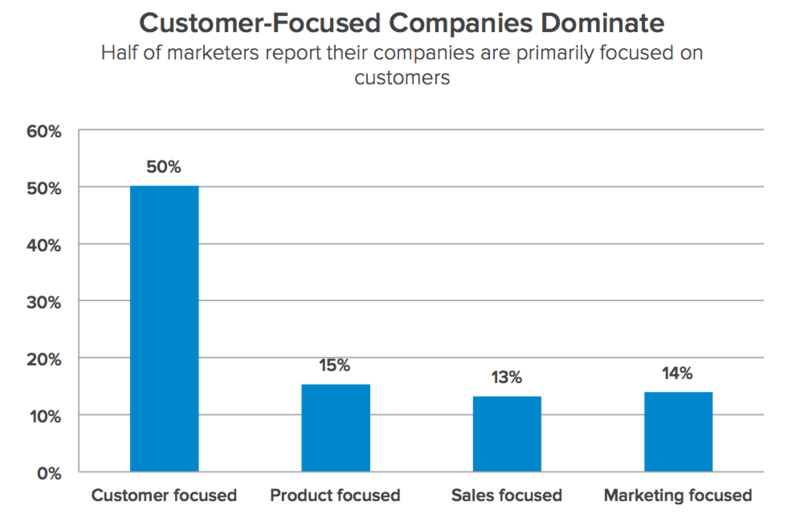 While the report wisely points out that it’s “less than ideal” that a full 50% of companies aren’t focusing on their customers, the data is certainly a step in the right direction. Current marketing trends may come and go, but a customer-focused business model allows businesses to have staying power. 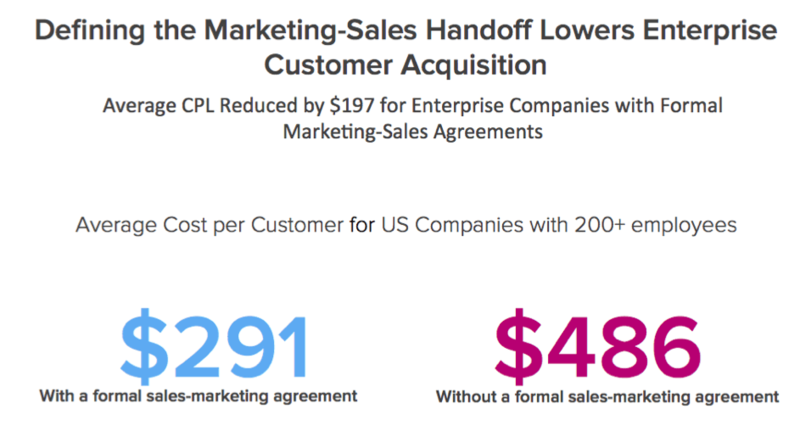 Enterprises with a formal sales-marketing agreement in place spend 40.12% less on the average customer acquisition! 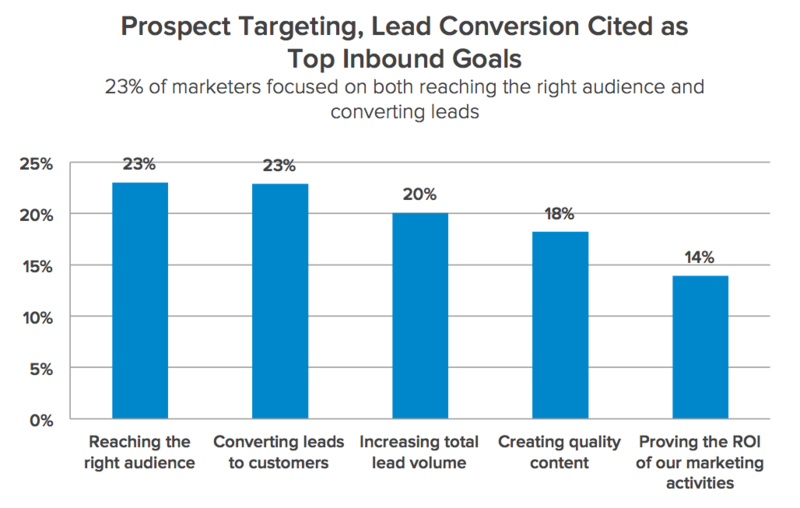 The current marketing trends towards audience research reveals an increasing savviness on the part of business leaders towards the intricacies of inbound marketing. 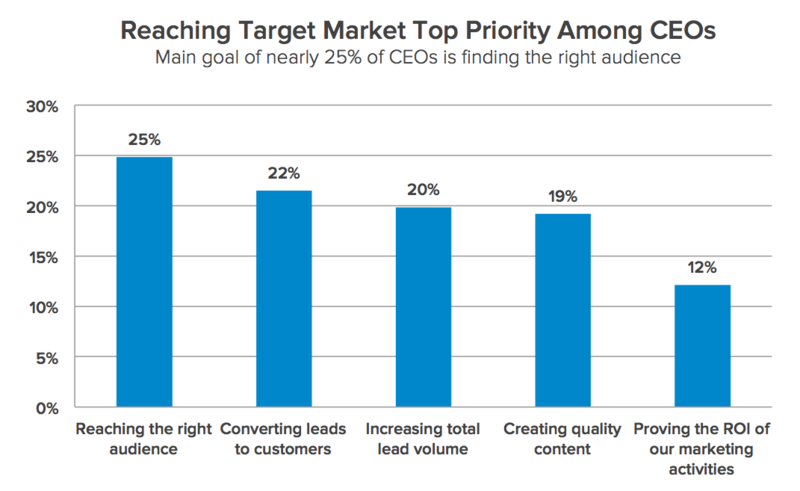 Without vibrant buyer persona profiles or knowledge of target marketing pain points and priorities, marketers simply can’t create quality content that’s going to be relevant to the right prospects. 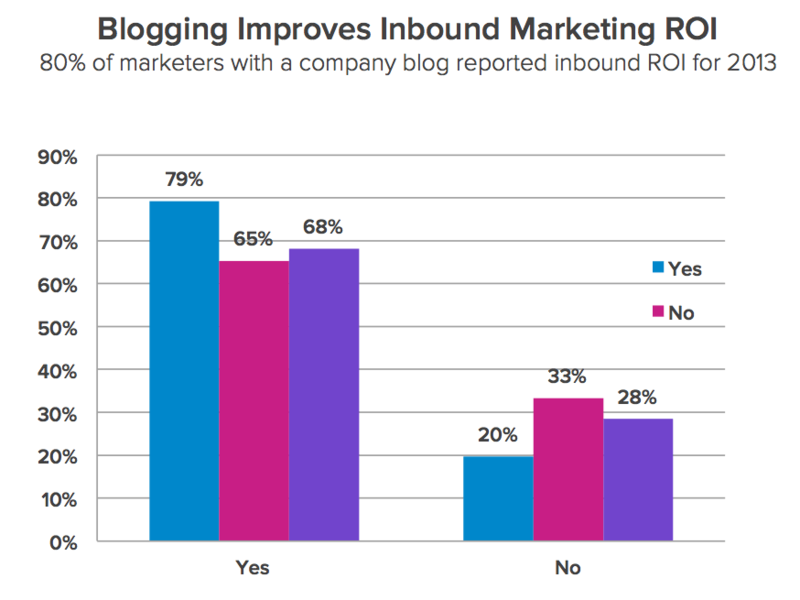 The vast majority of companies who invest in content marketing are able to clearly map revenue to their blogging efforts. Considering that 34% struggled to define ROI, it’s clear that quality content is among current marketing trends that yield big returns. Investing in a website that converts, quality content, and an active social media presence can fill your company’s sales pipeline with 54% more leads, as well as provide cohesiveness which will last much-longer than current marketing trends. This data supports the fact that consumers are turning off their televisions and ignoring billboards in favor of self-directed research online, through sources like Google and Facebook. It’s clear that to see the highest ROI on your marketing effort, quality content is key. 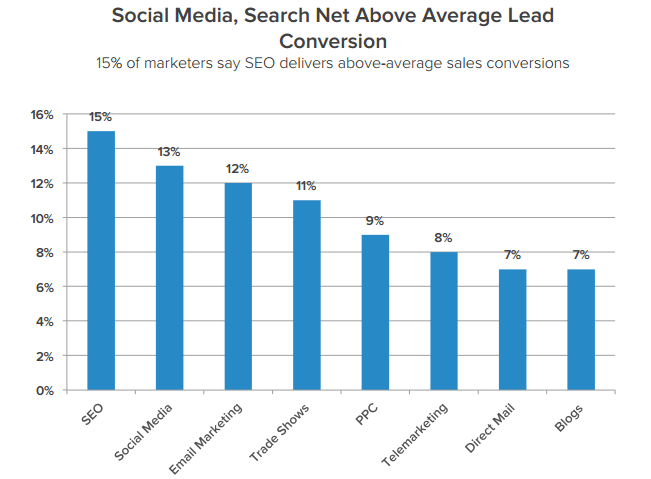 No form of paid advertising could touch the stellar lead-to-customer conversion rates of SEO, social media, and email marketing. 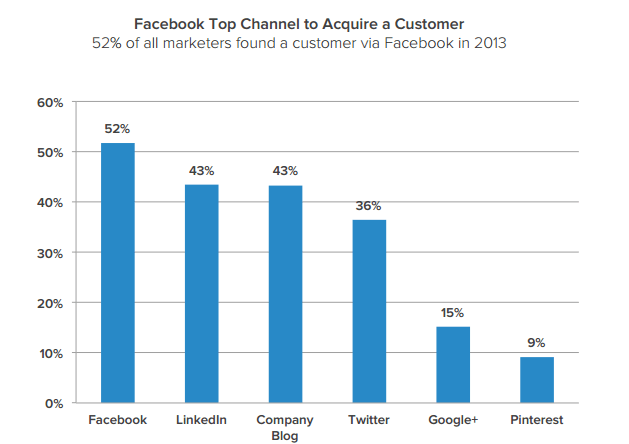 Despite the fact that LinkedIn can’t compete with Facebook’s extensive membership, the professional networking platform proved a key location for finding leads who eventually convert. Company blogs had an equally strong showing, with 43% of surveyed marketers being able to clearly map revenue to their content marketing. 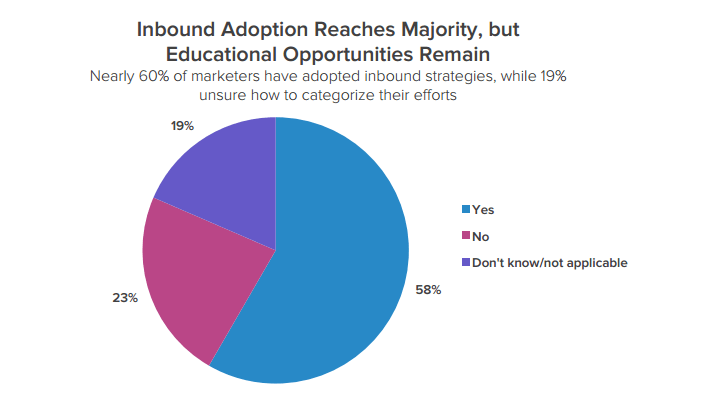 While current marketing trends may come and go, HubSpot’s 2013 report certainly seems to indicate that inbound practices are here to stay. If your company is still investing in direct mail and billboards, it’s likely time to consider a switch to investing in the platforms where your audience is hanging out, or you risk falling behind. 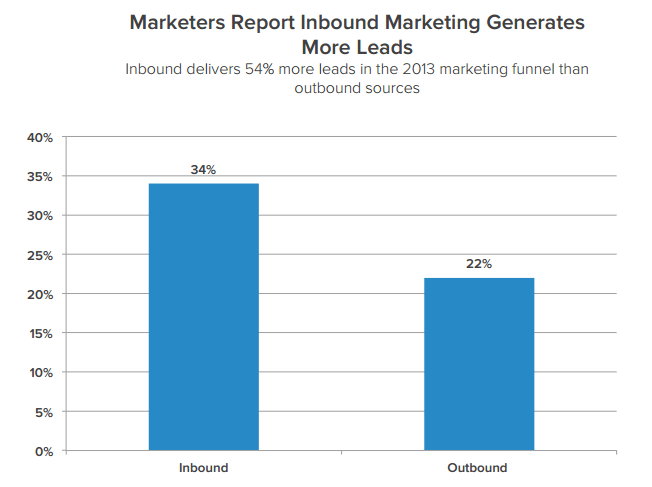 Did you read HubSpot’s 2013 State of Inbound Marketing report? What surprised you the most?